Refers to a special chemical composition (alloying), using a special production process. Furthermore with a special organization and performance to meet the special needs of metal. Compared with of ordinary materials, special metal has a higher strength and toughness, physical properties, chemical properties, biocompatibility and also process performance. Titanium Alloy：According to application titanium has heat-resistant alloys, high strength alloys, corrosion resistant alloy (titanium – molybdenum, titanium – palladium alloy, etc.). Furthermore low-temperature alloys and finally special features alloy (Ti – Fe hydrogen storage materials and furthermore titanium – Ni shape memory alloy). Nickel-based alloys: In contrast Ni-based alloy refers to the alloys have a high strength and corrosion certain antioxidant capacity comprehensive performance in 650 ~ 1000 ℃ high temperature. Depending on main performance there are nickel-based heat-resistant alloys, similarly nickel-based corrosion resistant alloys. Furthermore nickel-based wear-resistant alloys. And finally nickel-based precision and shape memory alloy. According to different base body superalloy has Fe-based superalloys, nickel-based superalloy and cobalt-based superalloys. Wherein the nickel-based superalloy referred to nickel-based alloys. Copper-based alloys: copper alloy is a pure copper alloy matrix by adding one or several other elements of the composition. Commonly used copper alloy have three categories of brass, bronze, copper-nickel alloy. Tungsten alloy: Tungsten alloy is tungsten-based join other elements of the alloy. The highest high temperature strength, similarly creep resistance and furthermore heat conduction conductivity and certainly electron emission properties of tungsten melting point is better than great. Except for a large number for the manufacture of cemented carbide alloy and additives. Consequently tungsten and its alloys are widely used electronics, electric light industry. 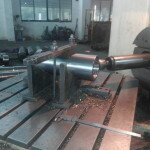 Furthermore in aerospace, casting, weaponry and other sectors for the production of rocket nozzles, casting molds, penetrator, contacts, heating element and a heat shield and so on. Aluminum Alloy: Seems like Aluminum Alloy divided into DEFORMED ALUMINUM ALLOYS and cast Aluminum alloy according to the processing method. DEFORMED ALUMINUM ALLOYS can withstand pressure processing. Processed into various forms, specifications of aluminum alloy. Cast aluminum alloy is divided into aluminum-silicon alloy, aluminum-copper alloy, magnesium alloy, aluminum, zinc alloy and aluminum rare earth alloy according to chemical composition. Al-Si alloys are classified as hypereutectic aluminum alloy, eutectic silicon Aluminum Alloy, single eutectic silicon aluminum alloy. Similarly the use of cast aluminum alloy in the casting state. Zinc Alloy: Zinc-based join other elements of the alloy. Often added alloying elements are aluminum, copper, magnesium, cadmium, lead, and titanium. Due to Zinc-based alloy has low melting point, good fluidity, easy welding, brazing and plastic working. As a result corrosion in the atmosphere, waste recycling and remelted easy. However the low creep strength, prone to dimensional changes caused by natural aging. Preparation of melting, casting, or pressure processing to become useful. Depending on the manufacturing process as a result there are cast zinc alloy and zinc alloy deformation. Magnesium alloy: First of all magnesium alloy is a magnesium-based join other elements of the alloy. Hence its characteristics are: low density (1.8g / cm3 about magnesium alloy), high specific strength, specific elastic modulus, furthermore good heat dissipation, and finally eliminating shock resistance. Likewise ability to withstand impact loads greater than aluminum. Even more alkali-resistant organic corrosion it is good. The main alloying elements are aluminum, zinc, manganese, cerium, thorium and zirconium or a small amount of cadmium. Currently the most widely used is magnesium alloy, followed by the magnesium alloy of manganese and magnesium zinc zirconium alloys.